Summary: Pictures do not show up or won’t load from phone or camera’s SD card has become one of the common issues for most for the users. 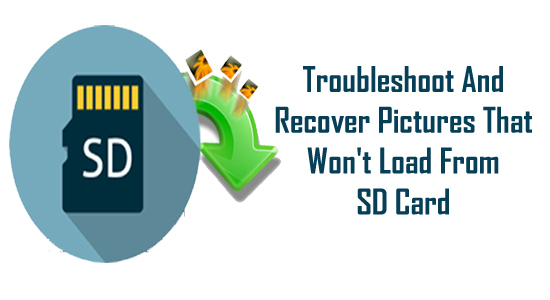 But you don’t need to get worried about it, because here in this blog post, you will learn some effective troubleshoot that will help you to fix and recover pictures that won’t load from SD card. However, the expert recommendation is that you must immediately try Photo Recovery software for SD card, in order to retrieve photos that won’t load from an SD memory card. Restore pictures/photos that won’t load or import from SD card. Also view and recover videos and audio files that not showing on SD card on computer. 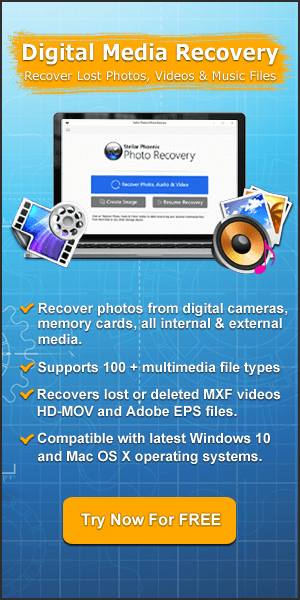 Get back lost or deleted photos, videos and audio from damaged, unrecognized, virus infected, corrupted SD card. 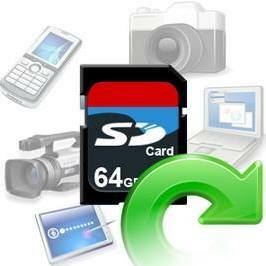 Support all types of SD memory card such as miniSD, microSD, SDHC, SDXC, CF, TF, MMC, SmartMedia card, etc. There could be several reasons that do not allow to load or import images from SD card that is used in different gadgets such as phone, tablet, camera, etc. Just check out one practical scenario mentioned-below! But why those photos/pictures won’t show or load from SD memory card? Continue reading to find the answer! Reasons: Why Pictures Won’t Load from SD Card? As I have mentioned above that many people are encountering such problem I their daily life. They insert camera’s or phone’s SD card to computer, just to find the failure of loading images from SD card. They don’t know what causing this issue. They only know that their pictures won’t load or show up from their SD card and then they look for solutions that can help them to troubleshoot SD card error of not loading the JPEG/JPG, PNG, GIF, BMP, PSD, TIFF…image files as it should be. Well, do not worry, here we are going to mention some causes that lead to such frustrating situation. Bad USB connection between card/USB drive and computer or maybe the SD card adapter/card reader is bad. May be the image files format is not compatible. May be your SD memory card got corrupted or unreadable. So now the question is how to troubleshoot the problem of – pictures won’t load from SD card or from any other removable storage devices. Well, we have provided some effective solutions that you can follow to fix this embarrassing problem. You have to first figure out the problem, in order to troubleshoot and fix photos won’t load/show or import from SD card. Figuring out the real problem can help you to easily fix the issue. Make sure that your SD card is properly connected to your computer, only then you will be able to copy your photos from the card to computer. If you are using SD card reader to connect the card, then make sure that card reader is working properly, if not then replace the card reader. Also check USB port of your computer is working properly, if not then insert card on another USB port or another computer. If you have changed the image files format settings on your camera or phone before clicking photos, then your photos have been saved in a different file format that might be not compatible with your computer’s operating system. If you are able to view pictures on your camera or phone, but is not loading or showing up on your computer, then it is likely that image files format has been changed. Hence, you must reset the default file format settings to save photos to a compatible format for computer. You can check the user manual of your camera or phone on how to reset the default file types for saving your photos in JPEG or another compatible format. If problem is occurring due to unreadable SD card, then you have to fix this first. You connect your camera’s SD card to your computer and you receive the error message “SD card is not formatted, format it now.” When you get this error message, then it is suggested that you must not format your card. Formatting the SD card will result in permanent loss of photos from your SD memory card. So to fix unreadable SD card, please check out – How to Fix Unreadable Micro SD Card In Simple Steps! The pictures from SD card would also not load, if your card is corrupt or physically damaged. The corruption of card can occur due to virus infection, file system error, etc and physically damage to card can happen due to heat or water. In case if your card is corrupted due to virus then you must scan your card with antivirus program. 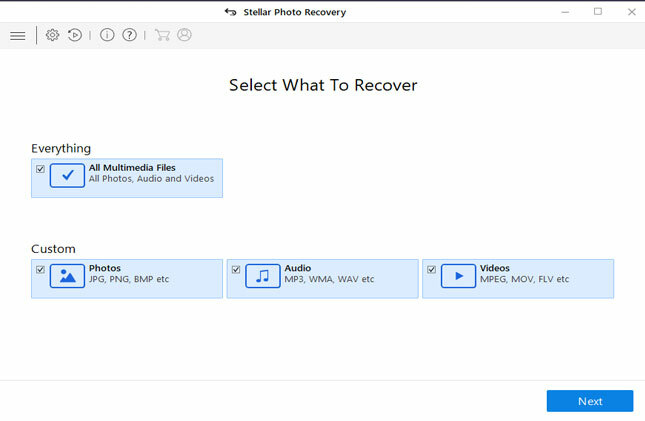 But in case of physically damaged SD card you have to try third party SD card photo recovery tool. You have checked USB connection, image files format, scanned card with antivirus but still SD card is not able to load picture. In such situation, you must instantly use third-party Photo Recovery software. 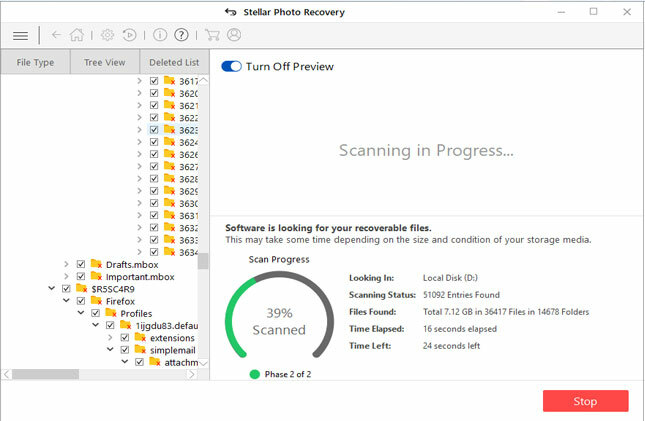 This SD card photo recovery software has the capability to retrieve pictures from SD card that unable to load image files to computer. 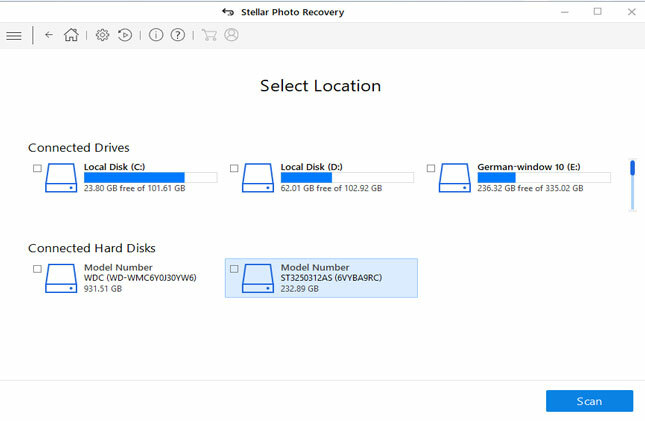 This Photo Recovery Tool For SD Memory Card restore photos, videos and audio files from corrupted, unreadable, virus infected SD card, miniSD, microSD, SDHC, SDXC, MMC, CF and more memory card of different brands such as SanDisk, Lexar, Transcend, Samsung, Kingston, etc. Can’t view pictures on SD card. Can’t open photos on SD memory card. Pictures on SD card not showing on computer. Memory card not showing pictures on computer. Can view pictures on SD card on the camera but not on the computer? Videos/audio on SD card not showing on computer. Pictures disappeared from SD card. Pictures not importing from SD card. In addition the software provides preview option that allows users to view the recoverable images within the preview screen of the software for free. 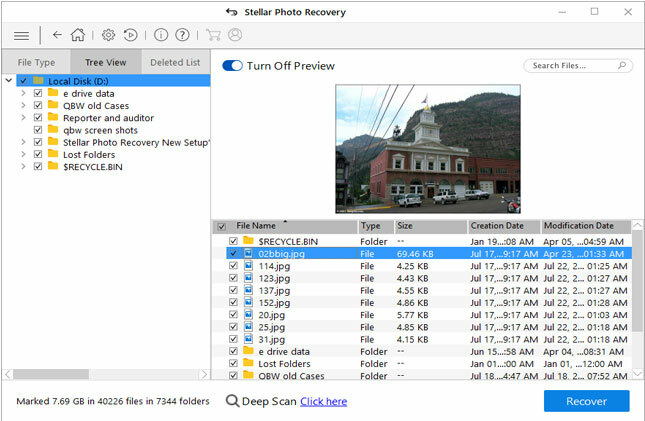 Below, continue reading to find how Photo Recovery works and recover files from SD card. Once, you successfully get back your photos from the SD card, you can then proceed further to format your card so that you can re-use it again without any issue. Always keep back up of your SD card photos to another external storage device. Do not modify the default image file format of your phone or camera to save photos on SD card. Keep reliable antivirus to avoid virus or malware infection to the card. I hope by now you were able to solve the issue of “pictures won’t load from an SD card” by following the solution mentioned-above in this useful post. 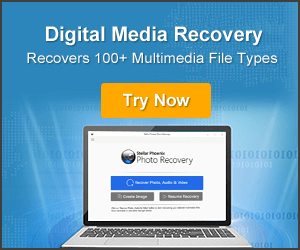 However, if solutions fail, then it is highly recommended that you must instantly try Photo Recovery to restore images from SD card that is unable to load photos, as trying doesn’t cost anything. How To Fix And Recover Pictures That Won't Load From SD Card. 1: Check USB Connection. 2: Check Image File Format Compatibility. Restore Pictures from SD card that won’t load on computer.